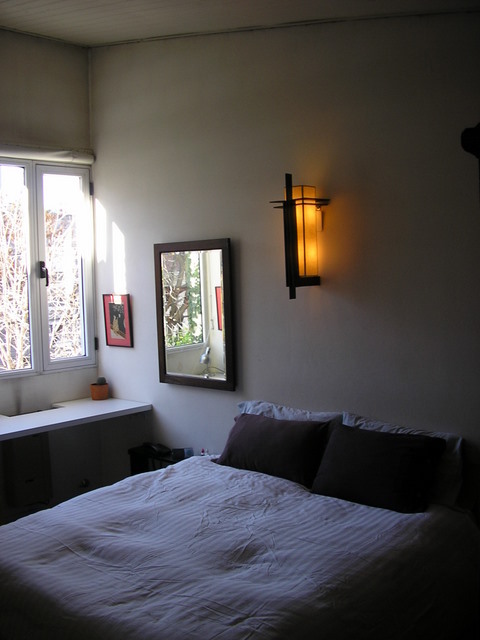 Buenos Aires has hundreds of hotels, B & Bs and hostels in every price range. The best values are to be found in Barrio Palermo, the leafy and trendy residential area north of the Microcenter, with the best city parks, museums and restaurants. 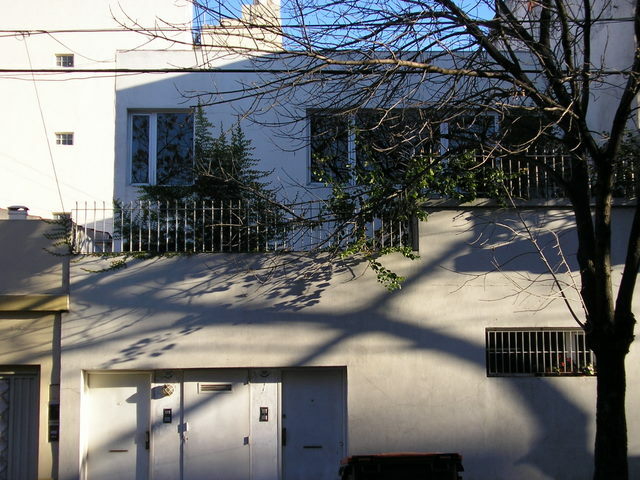 During my last three trips to Buenos Aires I have stayed at Mansilla 3935 and, as a professional travel writer, I would not stay anywhere else! I would call Mansilla 3935 a boutique hotel at B & B prices. Set in an elegant townhouse on cobble stone and tree lined Calle Mansilla, Marta, her husband and children are wonderful multi-lingual hosts. The Palermo town house is beautifully renovated to accommodate guests but maintains its classic charm. Light flows into the public areas through two glass enclosed courtyards. The rooms are spacious, immaculate, have wi-fi connection and most have ensuite baths. 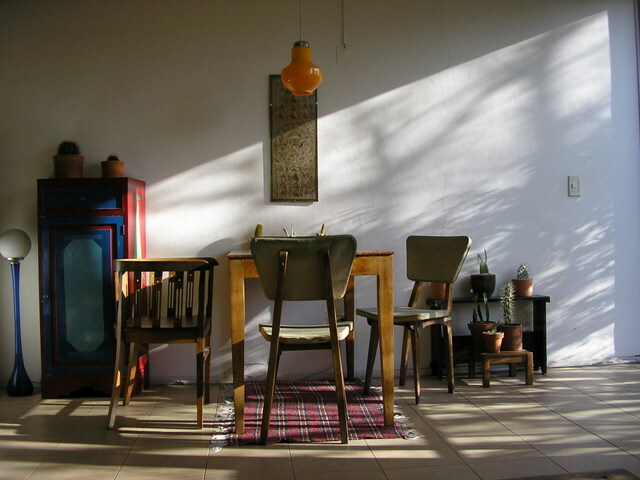 Breakfast is served at the large dining room table where you have the opportunity to engage in conversation with the international clientele, many are repeat visitors. Its location is quiet yet convenient and the rates are excellent. If you are going to stay in a major city for at least a week renting an apartment is a wise choice. If you like to cook, renting an apartment is the only way a traveler gets to play with different ingredients. Yet if you don't want to cook, even small apartments are twice the space of a hotel suite at half the cost. If your group consists of more than one couple, renting is the most economical accommodation. Why would you want to stay in one area for a week or more? Because you are a traveler, not a tourist. You want to live a vacation, not just see the sights. Surrounding most of the world’s great cities are towns and attractions a visitor would want to see anyway and renting makes day trips all the more enjoyable. Most rentals include maid service at least once a week. Most apartments are in perfect condition and in upscale barrios close to everything any tourist would desire. Many have beautiful city views or private gardens and courtyards. 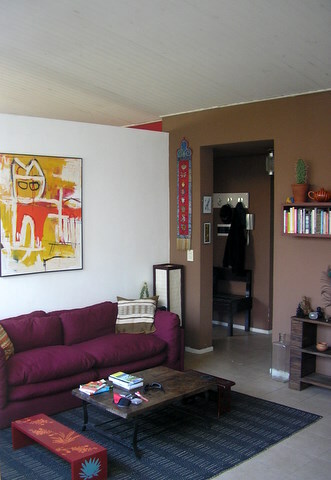 The spacious one-bedroom apartment I rented for three weeks in upscale Barrio Coligiales was excellent! On the second floor of a two storey modern building with attractive original art, my own sunken private patio garden and glass walls overlooking cobble stone streets, it was the perfect venue for quiet writing and an opportunity to cook. 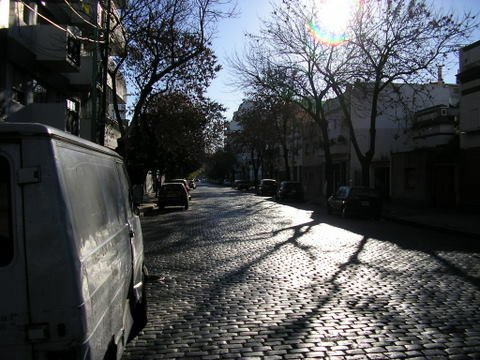 I was within walking distance to Palermo’s restaurants, elegant Barrio Belgrano shops, museums, food markets as well as convenient bus and subway (subte) stops to anywhere I wished to travel. I could have happily stayed for many more weeks, and my wife agreed. 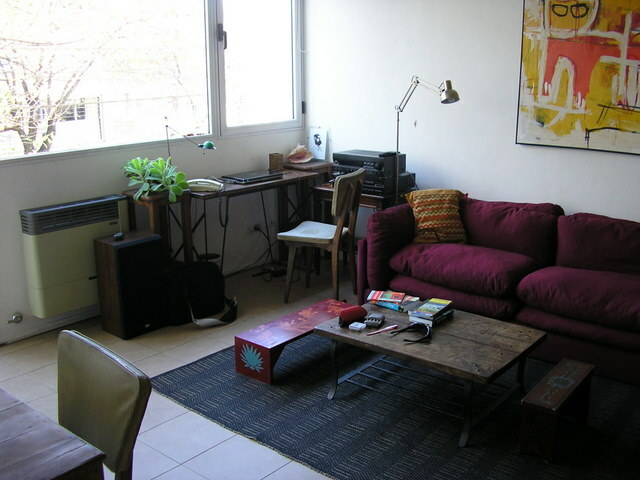 The three week rent: AR$3263 (US$870). 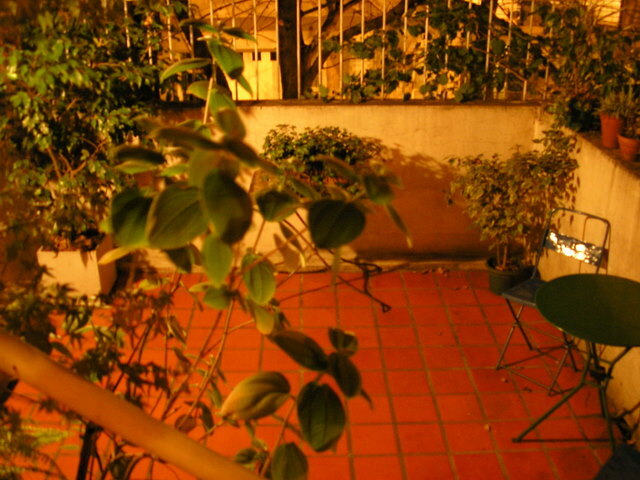 That is US$290/week or US$42.50 a day for an 800 square foot apartment with a beautiful courtyard garden. 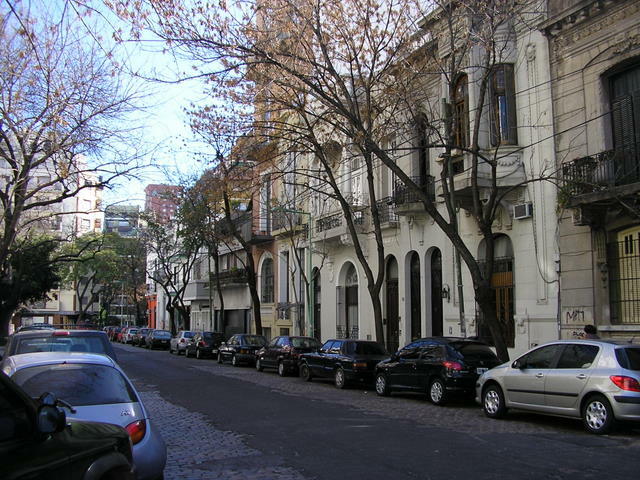 The process of renting an apartment, or even making hotel reservations, is not necessarily a stress free task in Argentina, despite the fact that internet service is widespread throughout the country. North Americans are accustom to choosing an accommodation on the Net and simply using a credit card to secure the reservation. In Argentina, many hotels provide information on the net, but not reservation services - email contact is usually required. Except in major cities, many accommodations - even some luxury resorts - do not accept credit cards. The use of credit cards is not as common in Argentina as it is in North America and Europe. Argentina is a cash economy and, fortunately, 24-hour bank ATM machines are common - but remember that most North American banks have a daily US$500 (AR$1,875) limit on withdrawals, but you get the best exchange rate at an ATM ! 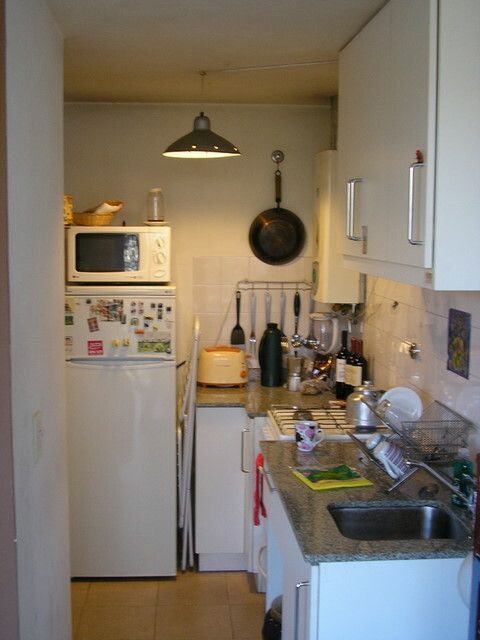 For an apartment rental, arrangements must be made weeks in advance whether you are in your home country or in Argentina. All the on-line rental agencies provide detailed descriptions, and photos, which tell the truth concerning their apartments - all of which are privately owned. (1) After research on the Net, contact the agency and agree to the apartment. (2) It is very rare that an agency will accept credit cards for payment. (3) If you are outside Argentina, you will be required to wire at least a 10% deposit to the agency through Western Union. Western Union will charge at least a 10% fee for the service. (4) If you are in Argentina you can wire the deposit through Western Union, or make the deposit at a branch of the bank the agency has its account - keep in mind most Argentine banks are open from 8:00 AM to 1:00 PM Monday through Friday only. (5) When you arrive at the apartment for the beginning of your stay you will be required to pay the balance in cash to the agent - pay in pesos that you have withdrawn by ATM to get the best exchange rate. (6) You will also have to pay a refundable security deposit - which the agency will have informed you in advance - that may be as much as 50% of the rent. (Unless you trash the place, Argentine agents are honest and the security deposit will be refunded, in cash, when you leave. Despite these hassles, it is worth it if you’re staying for an extended time. There are hotels, B & B's and even hostels that require the same time-consuming procedure, but I would caution against accepting this procedure for a hotel. I would recommend this procedure only if you are sure you wish to stay at a particular accommodation, in a particular location for a definite amount of time and it is high season - Christmas through Easter. Otherwise I would do business only with establishments that (1)accept advanced reservation on the net, (2) without a deposit and who (3) clearly state their cancellation policy in writing. Many accommodations that require deposits will not refund that deposit for any reason. Although I wish that, with 21st century technology, rental agencies and hotels would accept credit cards and/or Paypal services for reservations, there is a plus side to the cash economy. Many accommodations that do accept credit cards will advertise a discount up to 10% if paid in cash - if they do not mention it first, ask. As with all travel, doing homework in advance by researching on the internet will save you from aggravation when on your trip.